FLORENCE, SC (WMBF) – Construction on the new Florence County Judicial Center continues, with a scheduled opening in early 2018. According to a press release from Stevens & Wilkinson, the architecture firm that designed the facility, the $32 million, 120,000-square-foot building is being developed on North Irby Street, across from the existing county administration building. The three-story structure will be able to house 170 employees and delineate the various functions of the various county courts, the release stated. The genesis for the project was improving court safety in Florence County. 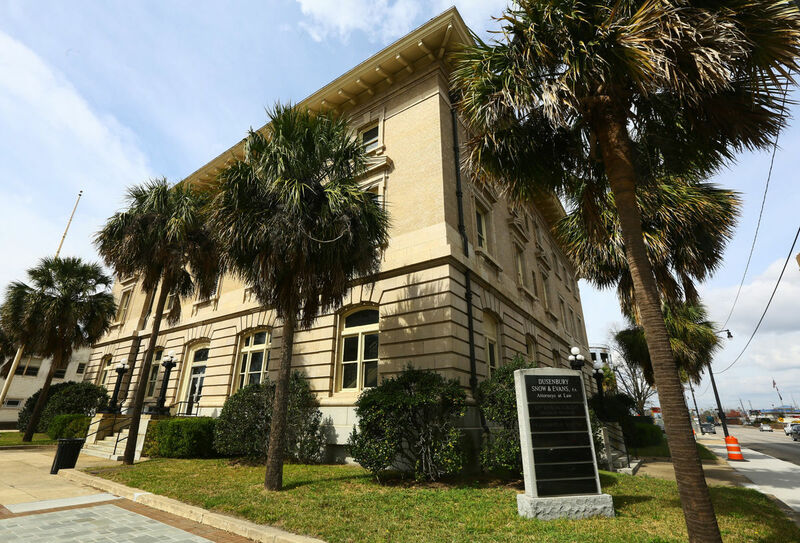 Currently, courtrooms are housed in the Florence County Complex building. Another need the new building will address is better parking access. Florence Ears, Nose and Throat (ENT) held a Business after Hours event on Thursday evening at its office on 1521 McClure Court. More than 50 people attended the networking event including Greater Florence Chamber of Commerce members, business leaders, and Florence ENT staff members. 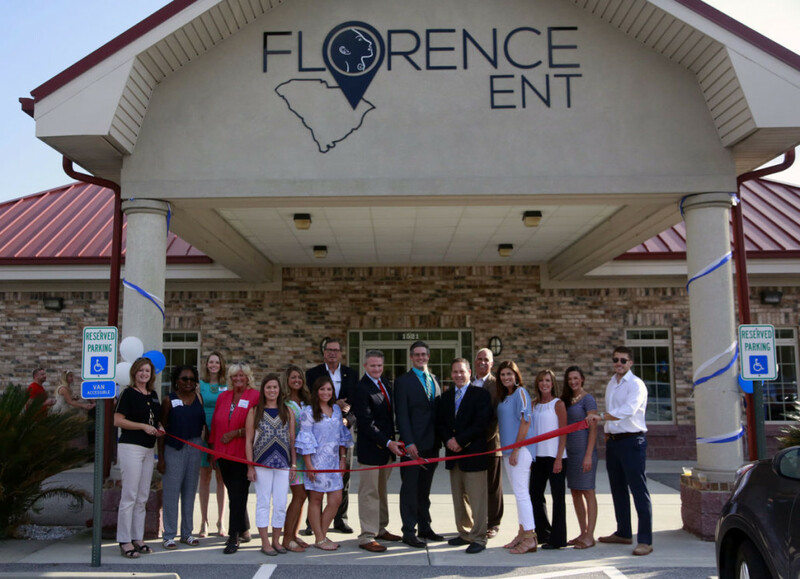 Florence ENT is affiliated with both Carolinas Hospital and McLeod Regional Medical Center and treats patients of all ages. From sore throats and earaches to breathing problems or hearing loss, the physicians at Florence Ears Nose and Throat are experienced and equipped to handle all of their patients’ needs. The Business after Hours gathering highlighted the Florence ENT office and featured live entertainment, beer and wine, and food catered from Top Hat Special-Teas. For more information or to schedule an appointment with Florence Ear, Nose and Throat call 843-665-2900 or visit florenceent.com. FLORENCE, S.C. — Methodist Manor, a senior living community on Twin Church Rd. 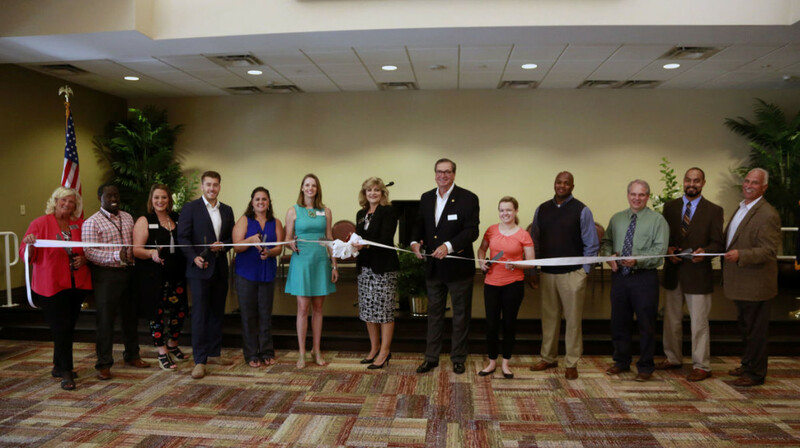 in Florence, held a ribbon cutting on Thursday afternoon to unveil its $18 million renovations and expansion. Methodist Manor’s renovations took more than two years to complete, increasing the building’s size by 69,000 square feet. 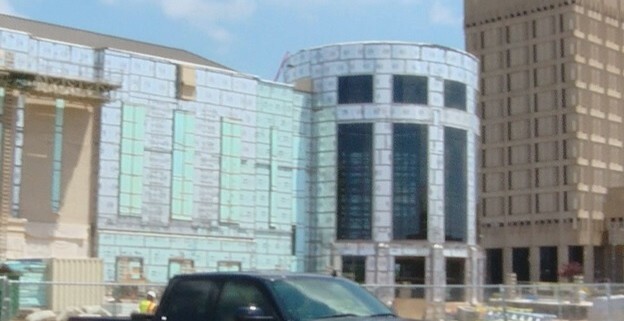 Teressa Tabor, executive director for Methodist Manor, said the expansion and revamping of the facility was completed in two phases: first with renovating existing areas of the building and second all new construction including an assisted-living facility, a bistro, an auditorium, a gallery, solarium and a dementia unit. During the ribbon cutting and open house, Tabor said, she received nothing but positive feedback from both the visitors and the existing 200-plus residents. For more information about Methodist Manor, call 843-664-0700 or visit methodist-manor.com. 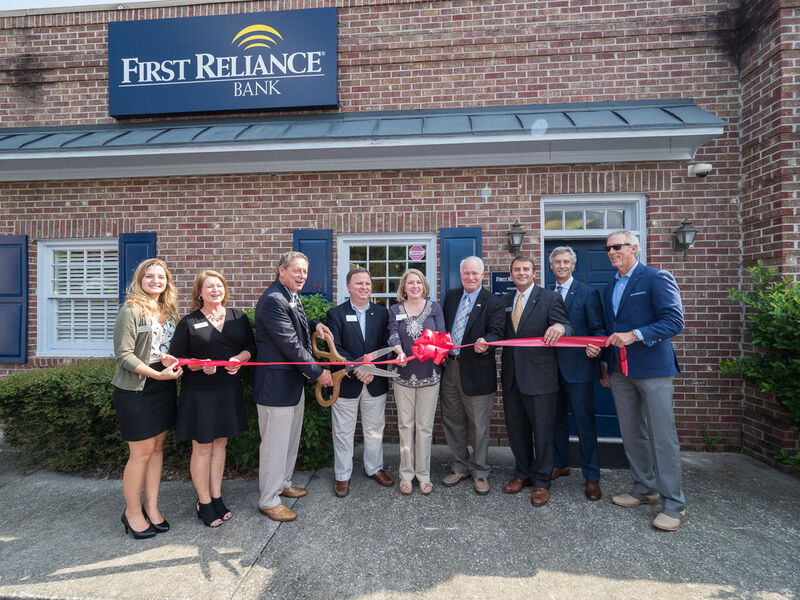 FLORENCE, S.C. — First Reliance Bank has created a number of new jobs throughout the branch, including within their operational team in Florence, after expanding into the Summerville market area. According to Pamela Rhoads, vice president of customer experience at First Reliance Bank, the company has added approximately 25 positions to support their growth initiatives for both branch growth, their dealer finance business line and their expanded mortgage business line. “Not all the positions are in Florence but our operational area resides here which support these initiatives,” Rhoads said. Rick Saunders, president and CEO of First Reliance, said the bank will continue to look for additional expansion opportunities throughout the Southeast and bring their brand of banking to new markets. First Reliance Bank, founded in 1999, has assets of approximately $420 million, and employs more than 140 associates. The bank serves the Midlands, Low Country, N. Myrtle Beach, Loris and Florence markets in South Carolina. Advanced Dental Center announced last week that they will be expanding their current facility at 2214 W. Palmetto St. in Florence. The dental center will construct a 2,800 square-foot addition beginning in October. The projected completion for the project is April 2018. The expansion will house approximately 10 treatment rooms. The practice is looking to add two dentists and five additional office employees once the construction is complete. On-site housing has been added to attract dentists from out of town in hopes to increase the pool of candidates. Dr. Joe Griffin, owner of Advanced Dental Center, credits the practice’s growth to the personal service provided to their patients. They currently have 11,000 active patients and have won the Best Dentist Office of the Pee Dee for two of the last three years. 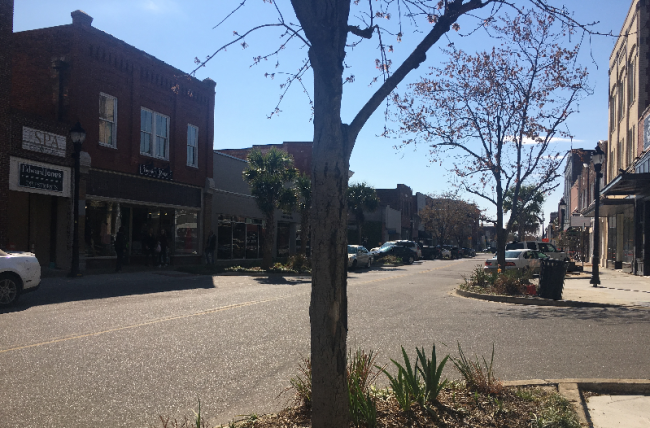 FLORENCE, SC (WBTW) – In May the Florence Downtown Development Corporation announced their “Full Forward Downtown Business Contest”. By the deadline of July 7th, thirty-six business owners had submitted their entry to win $50,000. The contest was created to give existing retail businesses owners or franchisees the opportunity to relocate or expand their existing business into the Downtown Florence Historical District in an effort to increase the number of retail shops in the downtown area. On Thursday, August 4th, a panel of judges selected L. Mae Boutique as the winner. They will receive over $50,000 which includes a $20,000 cash prize for expenses related to the new store, plus an additional $30,000 up-fit grant to be used for interior renovations to the building that the winner leases to house their business. In addition, the winner will receive $500.00 for signage and a first year business license credit of $300.00. Special lease incentives may also be offered by selected property owners. L. Mae Boutique, LLC has two existing locations, one in Pawleys Island and a second location in Myrtle Beach. L. Mae Boutique is comprised of two unique brands, L. Mae Boutique and Wild Retail Mabel Clothing Company. L. Mae offers a colorful preppy style while Wild Mabel yields a more relaxed beachy-boho look. Their target customer is 16-44 year old females. Vandelyn Nichols, a Clemson graduate, is their Executive Manager. She originally initiated the L. Mae Boutique business as a part-time hobby while working in the healthcare industry and as the home based on-line business grew the decision was made to open a location in Pawleys Island. As the business continued to develop, a second location opened in Myrtle Beach and plans are to have the Florence location open by November of this year. The exact downtown location has not yet been determined. Bob Sager, Retail Recruitment Specialist with the Florence Downtown Development Corporation commented “the contest greatly exceeded our expectations, we never envisioned that we would receive 36 entries. While L.Mae was the winner of the $50,000 prize, most of the other entries will still be eligible to receive the up-fit grant as well as the sign grant and business license credit if they choose to locate a business downtown. Those incentives total over $30,000.00. —Information above is from a submitted Press Release. 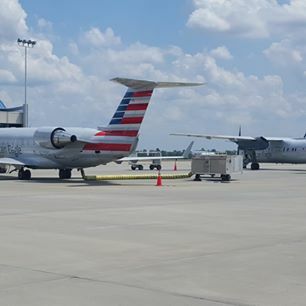 Major developments are underway at the Florence Regional Airport, as it is on the receiving end of a more than $3 million grant from the Federal Aviation Administration. The grant is going toward beefing up safety. Security staff said those improvements are at the base of growing airport services. “People see a lot of activity going on out here. We are trying to make improvements as we can. It will help better the airport and work towards getting a little bit more commercial service from the airlines,” said Stephen Bailey, the airport’s public safety chief. FLORENCE, S.C. – Francis Marion University will embark on several new initiatives, including the possibility of partnering with HopeHealth to bring a behavioral health clinic downtown. University and HopeHealth employees are discussing details that would allow both entities to staff the clinic. The project is still in its beginning phase, but FMU President Fred Carter said this project strikes him as precisely the type of work the university should be doing in the community. Ronald Murphy, an FMU professor of psychology, regularly volunteers with underserved people and often incorporates his master’s students in those service times. Murphy said he sees people who are falling through the cracks, and providing them consistent services is a gap in the Florence community. The clinic could be housed in the old Post Office building downtown. Students in the master’s in applied counseling program also would be able to get hands-on experience at the clinic. They would work alongside trained, licensed psychologists. “That would give them a clinical laboratory to essentially hone their skills and work with faculty who are experienced in counseling,” Carter said. The unveiling of this project and others took place Thursday at the FMU board of trustees planning retreat. In five years, the university hopes to have at least five new programs in place. The programs will be a doctorate in nurse practice, health informatics, speech therapy, occupational therapy and physical therapy. Chris Johnson, director of the university’s McNair Center for Research and Service, said the university is spearheading new research initiatives. The McNair Center plans to develop applied collaborative research projects and cultural recovery projects, and it wants to create projects that blend research with service. These projects would allow both faculty and students to pursue research opportunities. For example, there already are project possibilities for students to work with faculty on collaborative research projects for local industries. Research projects such as this could link students with future internship or employment opportunities. Board chairman Kenneth Jackson said university leadership has an ambitious agenda, but he believes the leaders can meet the challenge. After the planning retreat, the board met for its quarterly meeting, but no action was taken during the meeting. JOHNSONVILLE, S.C. — About a dozen paddlers hit Lynches River and Mill Creek Sunday afternoon as part of Go Paddle FoRevR — an event conducted by the Friends of the Revolutionary River to raise the profile of the river and its tourism potential. The paddle was part of a festival at Odell Venters Landing that included a paddle area where participants could paddle kayaks and paddle boards around the landing, food from the grill and games for participants. Terry Cook with Swamp Fox Kayaking and Rentals guided the paddle from the Johnsonville landing nine miles down Lynches River and Mill Creek to the landing at Snow’s Lake Road. The event raised money to help support the Revolutionary Rivers in Florence County, which include 60 miles of the Lynches River from Lynches River County Park to the Great Pee Dee and then six miles of the Great Pee Dee River that has documented Revolutionary War significance, said Holly Beaumier, executive director of the Florence Convention and Visitors Bureau. 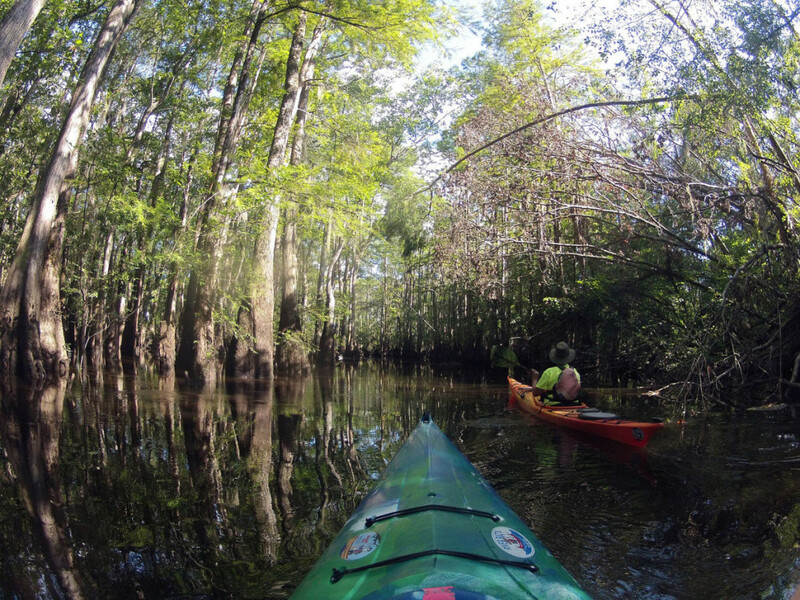 The paddle, which varied from relaxed lakes to challenging obstacles, included information on Francis Marion, history of the river, wildlife encounters and unique plants that call the swamp home. FLORENCE, S.C. — This is a big week for Florence Country Club, and the folks there aren’t making any bones about it. When the SCGA Amateur Championship Presented by McLeod Health tees off there Thursday, it will mark the first time since 1983 a golf ball has been struck in that tournament at FCC. The club and its members are embracing the opportunity, head golf pro Steve Behr said. FCC certainly is no stranger to hosting SCGA events. Each October, the SCGA Super Seniors is played there, and the John Orr junior leadership camp hosts about 50 kids for a weekend each November. But the SCGA Amateur, the association’s “crown jewel” event each year, has had a long hiatus from FCC. SCGA Executive Director Happ Lathrop said Florence and other older clubs have somewhat been the victim of the golf club explosion in South Carolina in the 1990s, which saw the establishment of courses like Colleton River Plantation (Bluffton) and The Reserve Club (Pawleys Island). But as it turned out, all it took was an invitation. Ben Ziegler, an FCC member who has a seat on the SCGA board of directors executive committee, played a key role in getting the tournament back to FCC, Lathrop said. Lathrop said the enthusiasm from the FCC staff, club and membership made a difference, as well as the golf course itself. Lathrop praised the efforts of course superintendent Dru Clark for getting and keeping the course in shape. “We don’t have to worry about whether the course is championship caliber,” Lathrop said. The way the people at FCC have reacted to hosting the tournament is a plus, as well, Lathrop said. Like Lathrop said, Florence Country Club and the SCGA Amateur do have plenty of history together. This will be the ninth time the tournament has been played at FCC, which was built in 1924. 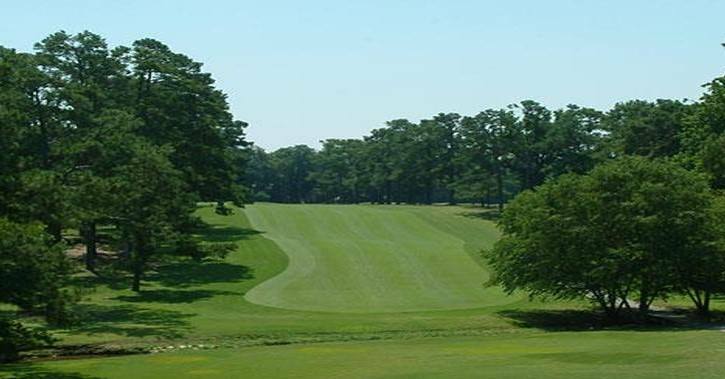 The SCGA Amateur was played at FCC in 1934, 1942, 1951, 1956, 1962, 1966, 1974 and 1983. Florence native James Clemmons Jr. won the 1956 event, and Florence native Billy Womack won in 1962 and 1966.